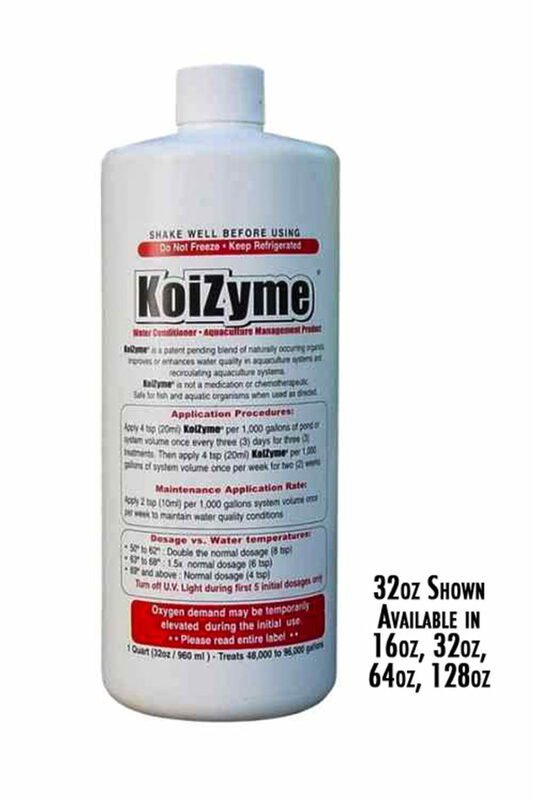 Koizyme from Koi Care Kennel is the best preventative for Ulcer Disease in pond fish. 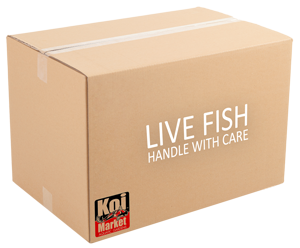 It’s comprised of enzymes, micro nutrients and bacteria that compete with Pseudomonas and Aeromonas bacteria for the nutrients from fish waste in your pond water. Aeromonas is by far the largest killer of pond fish. The end result is Koizyme starves the Pseudomonas and Aeromonas bacteria to a point where they can no longer hurt pond fish. 63 to 68 degrees: 1.5 X the label dosage of 20ml (4 tsp) to 30ml (6 tsp). 50 to 62 degrees: Double the label dosage of 20ml (4 tsp) to 40ml (8 tsp). 69 Degrees or Above: 2 teaspoons per 1000 Gallons once a week for normal Dosage at 69 Degrees. 63 to 68 degrees: 1.5 X the label dosage of 20ml (2 tsp) to 30ml (3 tsp). 50 to 62 degrees: Double the label dosage of 20ml (2tsp) to 40ml (4 tsp). Turn off your U.V. for first 5 initial treatments, turn back on for rest of season. Finish Initial 5 treatments before treating with a parasite treatment.